Most of us dream of our own private fishing pond. Some take action to build and stock one. Ponds are good places to fish and if they are managed correctly can support more fish per acre than is in most other waters. Ponds are a complex, interlocking chain of plants and animals. Food supplies are dependent upon on plant nutrients dissolved in the water. These include minerals as well as organic matter. Nutrients enter the water as dust carried by winds or with water runoff from surrounding areas. Small aquatic plants consume them and grow. As the plants grow and multiply they provide food for small fishes and crustaceans. These animals provide food for larger fishes. In any given pond are found three reasons why the quality of fishing desired might not develop. The fish present may not be the right kind, size or population numbers. Food availability determines how well both bass and panfish for example will flourish. Management of a bass pond is a delicate balance. There is a limit to the number of fish a pond can produce and maintain. The prey species may flourish to the point where they even compete with the predator species for the same food. A ribbon of blacktop stretches across the Mississippi Delta, Mickey speaks alternately on the telephone and two-way radio of his truck. This is his office and his way of maintaining contact with producers, the processing plant and his truckers with their loads of catfish. In a business where freshness is an essential, it is important to coordinate the actions of all the players. A truck that is late to the plant can result in a production line shutting down at significant cost. That cost in turn goes into the price to the consumer. Late trucks are not really the problem in the production of catfish fillets. But, there are plenty of others. Time was when commercial fishing was limited to wild fish taken out of rivers and lakes with large nets. Beginning in the middle to late 1950’s catfish farms began to appear in the south. Around the mid l970’s the farmers in the Mississippi Delta area between the Yazoo and Mississippi Rivers were searching for another crop. They had over used their land and depleted the production of cotton they obtained from it. In Humphreys County, near Belzoni, MS, a local farmer by the name of J.B. Williams started raising catfish. He sent his first fish to put-and-take ponds in the north. Soon other farmers began to realize that Williams was on to something. With the development of a floating feed pellet, the raising of pond raised catfish increased. The pellet is composed of corn, soybeans and some of the non-edible parts of catfish that are processed. It is a high protein, light feed that has a sweet taste and the catfish love it. The land in the area is ideal for the building of catfish ponds. The clay content of the soil retains water, unlike other areas with non-sandy soil which does not. The underground aquifers are huge and near the surface. They only have to drill down 250 to 500 feet for a seemingly unlimited source of water for the ponds. The Mississippi River and the Yazoo River replenish the water of the aquifers. They construct the ponds using a series of levees. Most are in the 10 to 20 acre size because they are most manageable. The ponds produce 3,000 to 10,000 pound of catfish per acre. From April to September, fish farming is a very labor intensive business. It begins with the hatching of the fry. Eggs hatch in troughs at the hatchery. A series of constantly rotating paddles agitate the water to supply oxygen. Once hatched, the fry stay in the hatchery for 7 to 8 days. Then they transfer to brood ponds for 6 months. During this time they grow to a length of about 4- to 6 inches. To facilitate their growth the fish farmers divide them into several groups and place them in other ponds. These levee ponds are usually about four feet deep. Here the fish live, fed daily, until harvesting time about at age 18 months. Fish farming for catfish is very effective for food production despite being labor intensive. For instance, a beef producer must feed his stock 8 pounds of feed to produce l pound of meat. The catfish farmer has to feed 2 pounds of feed for each pound of catfish. As we drive along, Mickey explains that before he buys a shipment of fish, they have to be tested at the processing plant. In the last 7 days before the shipping, the farmer provides a few fish sample to the plant. A five-person panel tastes it after being microwave cooked. The purpose is to make sure that the fish do not have any offensive smell or taste. Three samples come in during the last seven days prior to loading with the final sample taken the same day as the proposed shipment. This insures a flavorful product. Sometimes, if the fish has been in a pond that has a heavy population of blue-green algae, the fish will smell rancid as it cooks. They reject such a sample immediately. The farmer will sometimes place the fish in a pond with cooler and cleaner water. Cooler weather will also cut down the amount of algae in the water and thus improve the taste of the fish. Mickey turns off the blacktop onto the levee road and up ahead are several trucks parked on the road. Two of the trucks are Mickey’s with their large tanks to hold live fish. The third truck contains a crane to hoist a large basket of fish from the water and weigh it at the same time. In the water five men draw a seine net across the pond and corner the fish in a small area. The basket dips into the water and scoops up the fish. When the truck is loaded it contains some 14,000-pounds of fish in sizes from 2 to 5 pounds each. Mickey explains that the best fish for commercial use are those in the size of 2 to 4 pounds. They produce the fillet that is in most demand. If more than 10 percent of the fish are over 4 pounds there is a reduction of 10 percent in the price paid to the farmer. With the fish loaded, we head back to the processing plant. A spotless, processing operation produces fillets, nuggets and a variety of by products from the fish. Fillets are sometimes breaded, other times marinated and sometimes just frozen. Some packaged fish have the insides and head removed for the whole fish market. Fish that are quick frozen can be stored up to 120 days. Those that are in ice have a shelf life of 11 days and as a result they are off to the consumer within 24 hours. This scenario repeats each day, all year around. Hundreds of millions of pounds of catfish to market go each year from the Delta area. 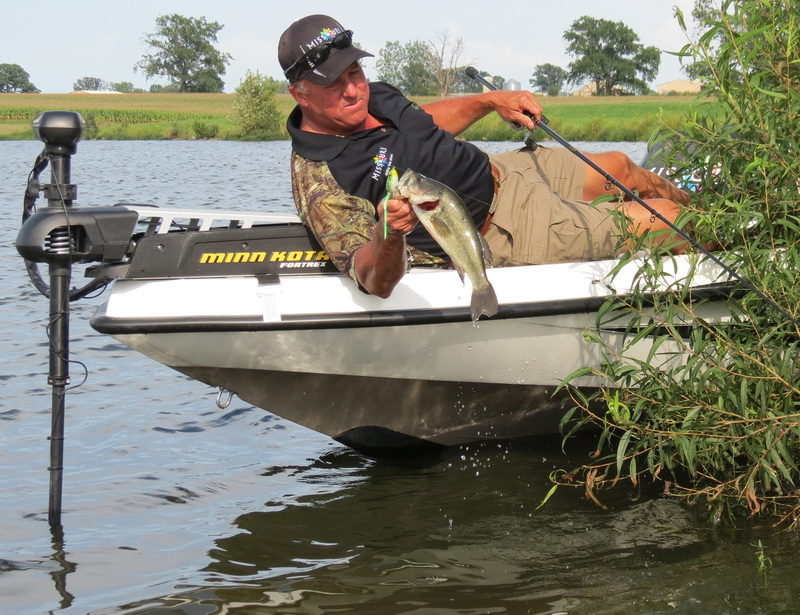 Once the boat is in the water, Scott uses the trolling motor to propel us down the shoreline. We go but a few feet and the first bass hits Scott’s lure. The fish is just under the legal minimum but he gives a battle. There appears to be two year classes in this lake as all the fish we catch are either just under or just over the minimum. But we are practicing catch and release so it does not matter. “In summer you can catch fish on a variety of lures,” says Scott Pauley of the Missouri Division of Tourism. An avid tournament bass angler, Scott explains that you just need to work the lures you have confidence in using under the existing conditions. Scott explained a storm in the area has muddied up many of the lakes but this particular one appears to be relatively clean. The water is high, flooding much of the shoreline vegetation which might attract fish to it. As part of his job, Scott prowls the many lakes, rivers and ponds that are open to the public. Recently he demonstrated his prowess by catching over 30 largemouth bass in this small lake in central Missouri. There are hundreds of such lakes across the state. As water temperatures rise, fish move farther out onto points. The shad forage fish move to the main lake and the bass follow. Anglers must concentrate on the points if they are to find fish. 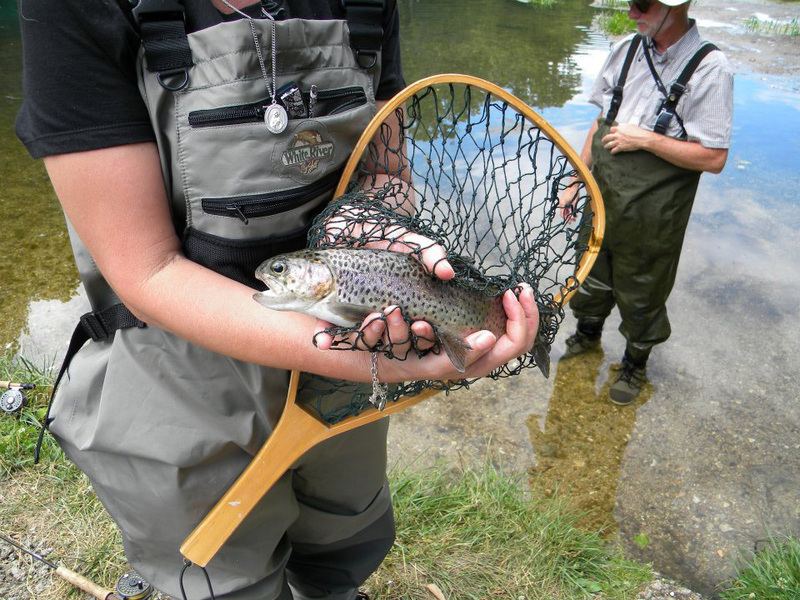 In creeks and rivers anglers find fish all year. Some flooding in the spring months raises water levels. In the summer, water levels drop creating current patterns. Visualize places where you know current develops. Look for funnels. This can be places like a bridge crossing a lake. A funnel is any place where the water creates a narrowed path. Another good location to find fish is a long point. They hold on the downstream side of the point. Fish position themselves facing into the current, waiting for food to sweep to them. 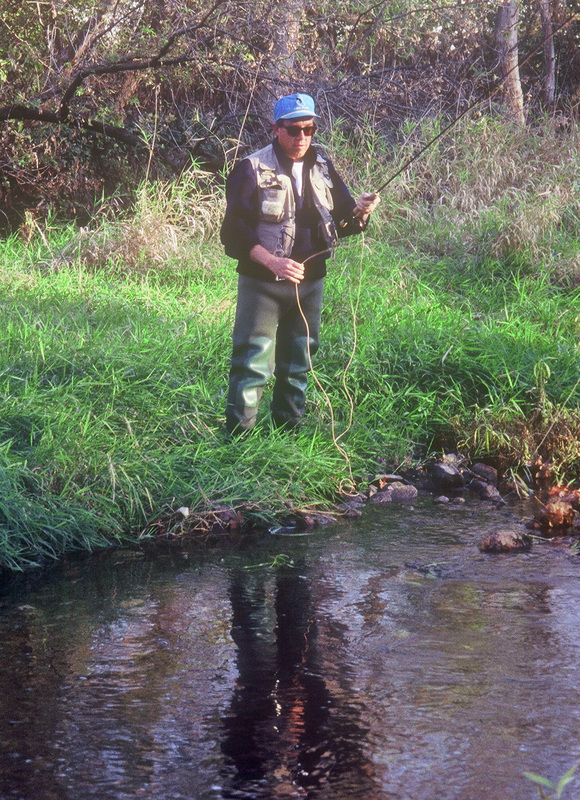 Throw upstream and fish the lure back with the current. The only real way to find out what fish are doing in summer is to get out there and figure it out. This is especially true of ponds. Experience and time on the water are the real keys to successful summer fishing. This lake we are fishing is one of three on a small piece of property owned by the University of Missouri for agricultural experiments. The lakes are small impoundments which provide a water supply for various farming operations. The one we chose is 15-acres. The University owns the land but the Department of Conservation manages the fishery. To locate one of these public locations this summer just go to the Missouri Department of Conservation website http://mdc.mo.gov. Once there click on Fishing. Then click Places to Fish. From there you scroll down to MDC Resources. Then click on Missouri Conservation Areas Atlas. You can then look up a particular lake by name, county or region. Or you can just give a county or region and get all the lakes in them. You can also view the area from here via Google Earth. In recent years a lot of talk has surfaced regarding this southern Illinois fishery. Most of it centers on the crappie population. With two years of decline in the number of fish over 10-inches in length is the cause is subject to a lot of conjecture. However, last years surveys by the Illinois Department of natural Resources showed a slight improvement according to Fisheries Manager Mike Hooe. Hooe, probably more than any one person is responsible for the good years enjoyed by Illinois anglers fishing for its famous crappies. He was the person who introduced the slot limit that led to the increase in the numbers of larger fish. In a recent report to anglers at the Williamson County Boat Show, Hooe explained that the size of crappies has begun to turn around and is rising. Says Hooe, “another year or so and the numbers of the larger fish should rise back to peak rates.” Leaving out the fishing pressure factor, Mike still believes the numbers of 10-inch plus fish should continue to increase. The popularity of this lakes fishery for crappie has place some considerable stress on it. 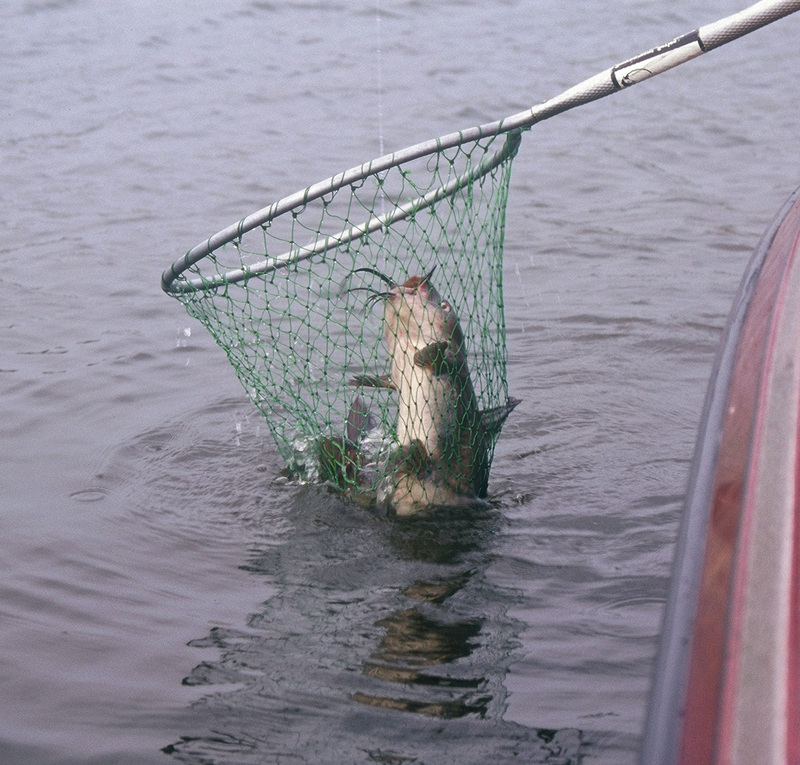 Moving from crappies to largemouth bass, Mike reports that the number of largemouth bass. Mike reports that the number of fish exceeding the 14-inche minimum length limit fell 26-percent in the most recent survey. 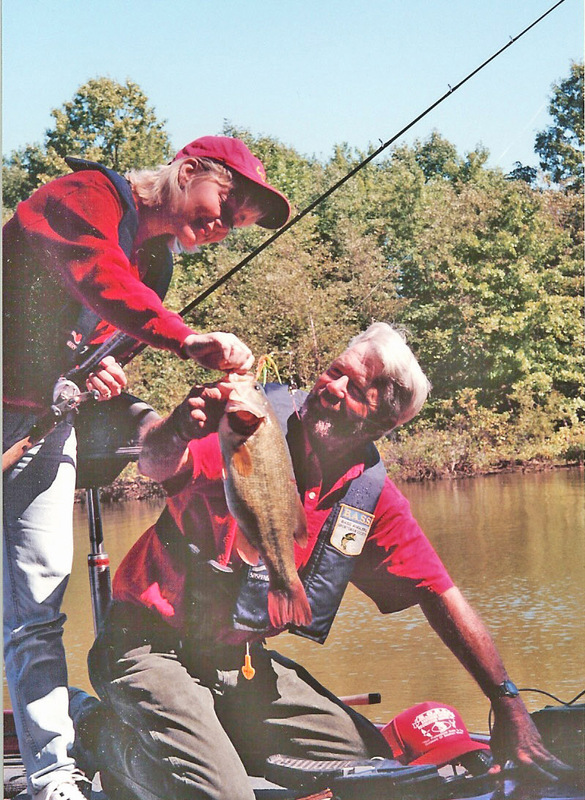 At this time 28-percent of the adult bass exceeds the 14-inche limit. The number of fish over 20-inches in length is low but stable. 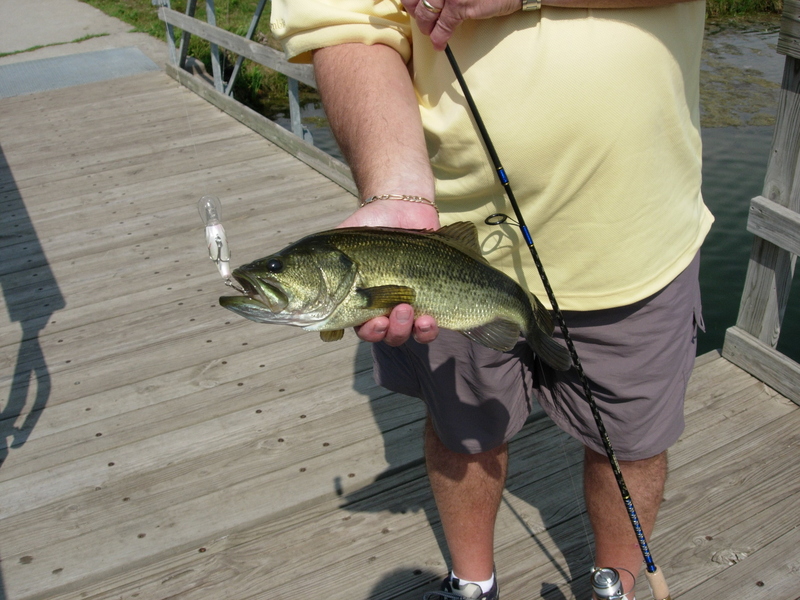 The majority of bass in the 14 to 18-inch class weigh between 1 1/2 pounds and 3 1/2 pounds. With the abundant food supply growth rates should be excellent helping the size structure in the coming year. Bass fishing this year should be about the same as it was last year. Rend Lake continues to be a catfish factory. Natural recruitment remains strong and thus there is no need to do supplemental stocking of the lake. Channel catfish in the 1 to 3-pound range should be abundant this year, according to Hooe. He also is finding fish up to 6-pounds common. Word is good on the white bass scene. Reproduction has been good in 2011, 2012, and 2013 and in the fall of 2015. This has resulted in a significant rise in the population to its highest level in 7 years. Mike explains white bass do well in years with flooding. The spawn is critical and the flooding provides great spawning conditions. Here on Rend the numbers are up with most fish being in the 12 to 15-inche length and weighing 1/2 to 1 1/2 pounds. Another game fish found in Rend Lake is the bluegill, Illinois state fish. After two years of declining populations the overall size of the fish will be in the 6 1/2 to 8-inche length and they should be abundant. The number of fish over 8-inches is about the same as in prior years. Some bluegills will reach a weight of 1/2 pounds. The fishery as a whole is showing above average growth rates with excellent body condition. Finally there are the hybrid bass. The population has been down for several years. It was almost down to zero. In the past 4 or 5 years the state has been stocking 4 to 5-inch small shad from Newton Lake as they become available. Todd Huckabee is unorthodox because of his tackle selection. As with most crappie anglers, Todd seeks aggressively biting fish. But that is where he seems to depart from conventional wisdom. 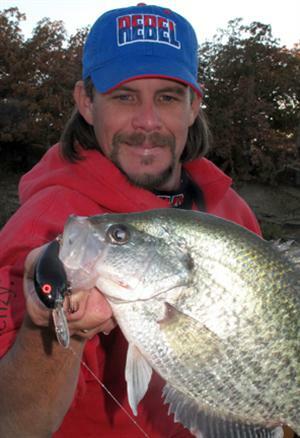 Todd maintains, “Crappie will bite big baits.” By following and learning what the fish are eating he finds they take larger forage than is usually assumed. For this reason he uses stiffer rods and heavy line. His jig choice is a 1/4 ounce jig with a 2/0 hook. He points out that a one pound crappie has a mouth opening the size of a golf ball. Huckabee believes that fish are biting somewhere all the time. He maintains that crappies prefer to be shallow. It is there that they find food. The crappies feeding playing field is shallow. For this reason he uses a small cork and casts his offering up into the shallows. He always uses the popular loop knot called the Palomar Knot. It allows the jig to float in an more natural presentation. “When you feel a bite it is the crappie taking the slack out of your line,” says Todd. That is why he likes the heavier line. Crappies are a sunfish and Huckabee finds they like the sun to absorb sunlight in egg production and aggressive feeding activity. They spawn 6 to 12 times per year and the rest of the time they feed. Another aspect of crappie activity is their lack of movement. Huckabee maintains that crappies live within 300 yards of where they were born, for their entire life. Lake born crappies will always stay in the lake and creek born ones will always stay in the creek. In summer the best bite according to Todd is in the heat of the day.